Anupama Raag is a bollywood music director and singer.Apart from making numerous public performances, Raag has been a regular singing talent at both Doordarshan and Aakashwani, and has sung for five consecutive years at Lucknow Mahotsav. 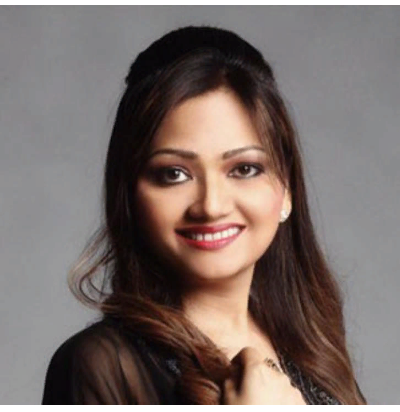 Raag has also performed at other events such as: Taj Mahotsav – Agra, Tansen Samaroh, Sangeet Natak Academy, and Awadh Sandhya.She made her Bollywood debut with the number “Shalu ke thumke” in 2011. She has sung with Mika for the movie Zila Ghaziabad and with Madhuri Dixit for the movie Gulab Gang.